This is an easy side dish that my whole family loves. My youngest son will often eat any leftovers we have by themselves the next day for lunch. Chop the onion, green onion, and garlic. 2. Add the olive oil to a skillet and heat over medium heat. 3. Place the chopped onion in the skillet and cook for about 5 minutes, until soft. 4. Add the garlic to the skillet and cook for another 2-3 minutes. 5. Add the, green onion, kidney beans and broth to the skillet. Reduce heat to low. 6. Stir in the spices and simmer for around 5 minutes, until half the broth cooks off and everything is heated through. This dish is a great complement to any type of chicken or pork and also goes great with tacos. Thanks for stopping by! See you next week. Wow! What a winter storm we had this past week! We are still feeling the chill here in Florida, with wind chills literally down into the 20s and 30s and freeze and frost warnings all over the place. There were even some snow flurries in the northern portion of the state! So, this week I have plenty of soups and hot foods on tap, to warm us up from the inside out. Thanks for stopping by for Menu Plan Monday! Be sure to come back next week, and please check out my post about my Top Ten Recipes of 2015! My Irish Toffee Bars recipe was number one on the list for this year. A yummy, gooey dessert, I made it for a special project for our homeschool group and also for holidays. 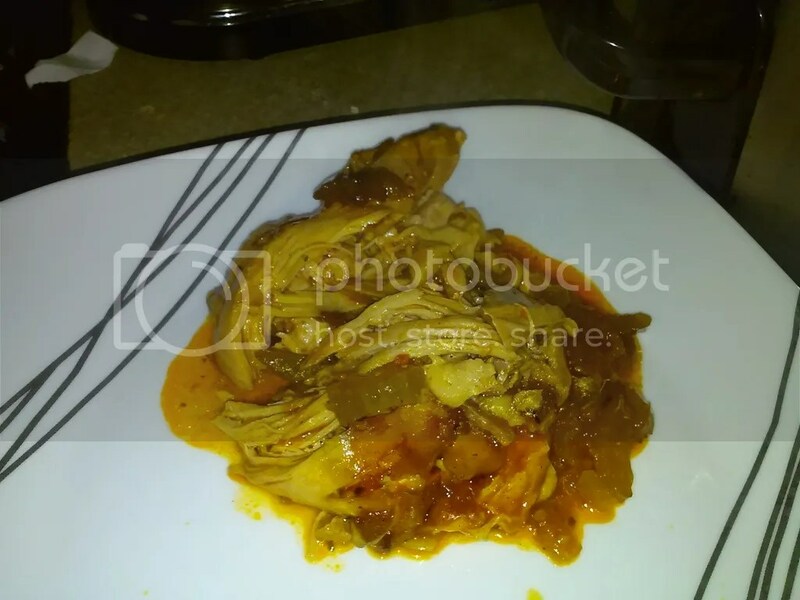 I love my crock pot, and this recipe for Sofrito Chicken is a delicious and easy crock pot meal. It was also number two on the list for last year. 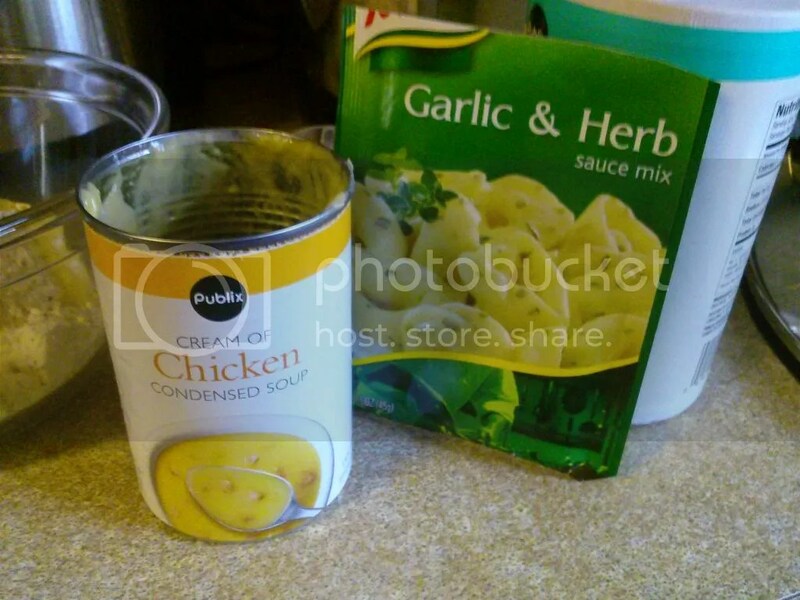 Another crock pot recipe, Creamy Herb Chicken requires only a few ingredients and comes out moist and juicy. According to my oldest son, my Gooey Baked Grilled Cheese is the best sandwich ever. My youngest boy doesn’t really like mushrooms, but he loves my Cabernet Mushroom Sauce. I make it for my pork chops but I think it would go great with steak too. My Simple Calzone recipe has been one of my top recipes for about two years now. It is really easy to make and it tastes so good. I make this a lot for our Christmas Eve dinner. A third crock pot recipe, my Sausage and Peppers recipe is full of flavor. I like to use some Chorizo sausage but you could easily substitute another kind. A great recipe for cold days, Cheeseburger Soup is easy to make and leaves plenty of leftovers for the next day. My kids love this recipe for Baked Garlic and Lemon Chicken. It’s pretty cost-effective to make too. One of my personal favorites, this Creamy Cheesy Chicken is the perfect comfort food. So, there you have it. My top ten recipes for 2015. Thank you so much for visiting my blog. I can’t wait to share more recipes with you this year! With the weather turning colder, I finally get to make one of my boy’s most requested meals, Creamy Mushroom Soup. They ask me to make this all the time, but it is a bit of work, and it really is best for warm days. However, it does taste delicious! 2. Melt the butter in a large pot and add the shallots and saute for two minutes. 3. Add the mushrooms and thyme and cook for eight minutes more, stirring occasionally. 4. Add the flour and cook, while stirring, for two minutes. Then add the stock and bring the soup to a boil. Turn the heat down to simmer, cover and cook for 15 minutes. 5. Stir in the sherry, heavy cream, salt, and pepper and return to a simmer again, then add the parsley and serve. I like to serve this with some hot rolls and a homemade chef’s salad. It also reheats well the next day too! Enjoy and come back tomorrow for my Top Ten Recipes of 2015 post! Thanks for stopping by and see you next week! Thanks for stopping by for Menu Plan Monday this week! Be sure to come back next week. My review of Christianity Cove got the most views of the year. 2. 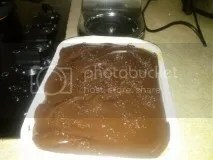 My recipe for Irish Toffee Bars was my second most viewed post of the year. Post number three came from one of our crew round ups. 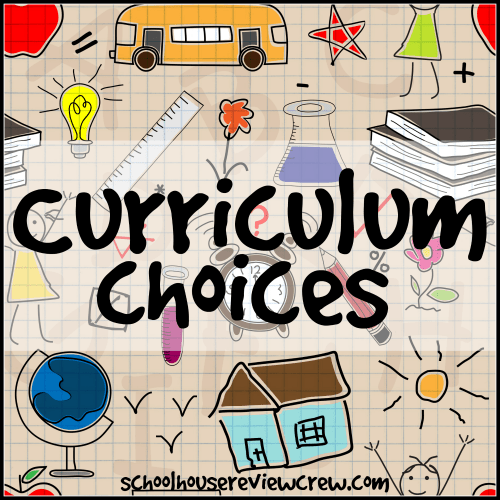 Our Top Curriculum Choices was my third most popular post of the year. 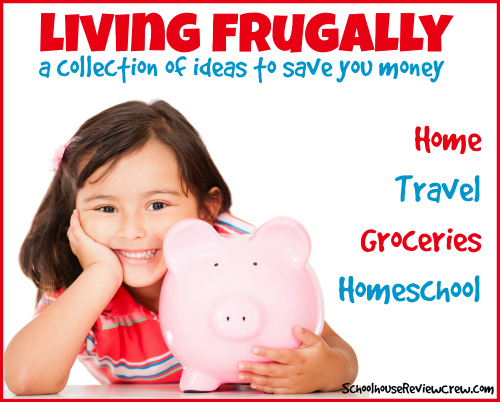 My post on Free and Frugal homeschooling from another round up was number four. 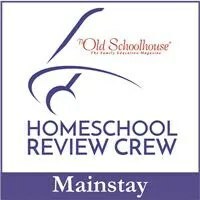 This review of Time4Learning made it to number five. 6. My crock pot recipe for Sofrito Chicken was my number six post. 7. The second crock pot recipe on the list, Creamy Herb Chicken was post number seven. 8. 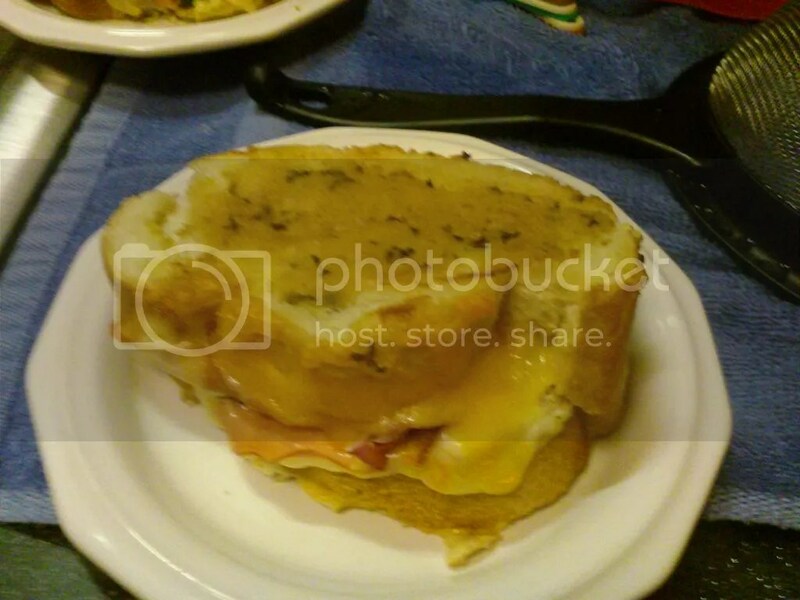 This recipe for my Gooey Baked Grilled Cheese sandwiches was number eight. My review of Middlebury Interactive Languages was number nine. 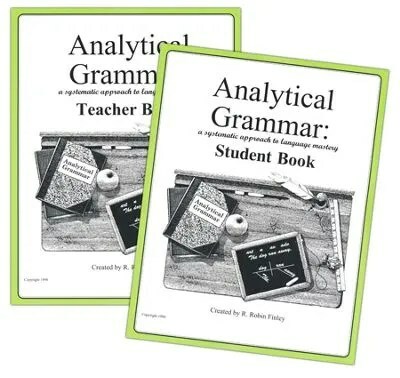 Finally, my review of Analytical Grammar was post number ten. We still love this program by the way, my youngest is having great success with it still. So, those were my most-viewed posts of the year. Thank you so much for visiting my blog. I look forward to sharing more with you in 2016. Make sure to stop by next week to see my list of most-viewed recipes! This week, I’m sharing an easy weeknight meal that you can throw together and get in the oven in about 15 minutes. Then you just sit back and let it bake! And it tastes delicious! My neighbor made it when she had us over for dinner at her house and she let me have the recipe. Pour the cans of enchilada sauce into a saucepan and heat over medium heat on the stove for about 10 minutes until it starts to bubble. Add the cream cheese and sour cream and stir until melted. Open the cans of green chiles and drain in a strainer. Open one side of the chiles and pull the seeds out. Pat them dry with a towel. Spray a 9×13 baking dish with cooking spray and lay about 12 of the chiles flat across the bottom. Shred the rotisserie chicken and lay half of the meet on top of the chiles. 6. Pour half the sauce on top of the chicken. 7. Layer the Parmesan cheese on top of the sauce. 8. Add the rest of the chiles on top the cheese. Then place the rest of the chicken on top of the chiles. 9. Pour the remaining sauce on top of the final layer of chicken and then layer the mozzarella on top of that. 10. Bake at 350 degrees until the cheese is melted and brown. I served these with tortilla chips crumbled on top, but the next day, my sons loaded the leftovers on top of the tortillas and ate them like nachos. If you don’t want to use a rotisserie chicken you could definitely cook your own chicken and just shred it instead, but I’m all about short cuts on busy days!